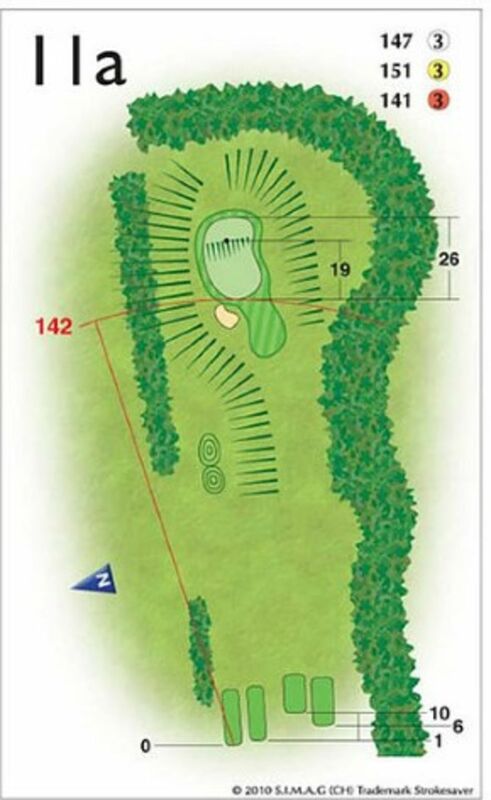 Hole 11a is the summer hole, a short par 3 and stroke index 18. It is set in a hollow, with a steep bank feeding onto the green on the right and a steep bank away from the green on the left. Play conservatively by hitting up the right hand side of the green or you will have an almost impossible shot from under the trees on the left should you mishit your tee shot.